Animal abuse stems from a lack of proper treatment and appropriate conditions for animals. Animal rights groups emphasize keeping animals free from hunger, thirst, pain, disease and distress. Such groups argue that these needs are sometimes not met in situations in which animals are used for food or clothing, experimentation, entertainment and even in the wild. These issues present students with a variety of topics to research and questions to consider when writing a paper for a class. Animal welfare groups have raised concerns about the treatment of animals used for food and clothing production. They argue that animals are often raised in cramped conditions away from natural environments and cannot do what they normally would if they were free. Animals are force-fed, fed drugs and modified genetically to gain more use from them for meat, eggs, wool and feathers. Students could examine the effect such treatment has on the well-being and health of the animals. There are also issues surrounding the killing of animals. Students could write about whether killing animals for human benefit is right or wrong, or about the different methods used to kill animals. Many products, including cosmetics, food and drugs, are tested on animals. 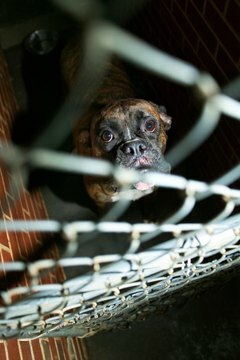 Animal rights groups have expressed concern about the harm, pain and death that such experiments can cause for animals. They argue that many of these tests are unnecessary and yield results that cannot be applied to humans. Students could study the benefits to society that arise from such testing and weigh them against the cost to the animals being tested. Animal welfare groups also argue that testing on animals should be replaced with such alternative methods as testing on human cells in a laboratory. A research paper could explore what alternatives exist and whether they are feasible substitutes to testing on animals. Animals are often put on display in zoos and circuses. Many more are kept as pets. 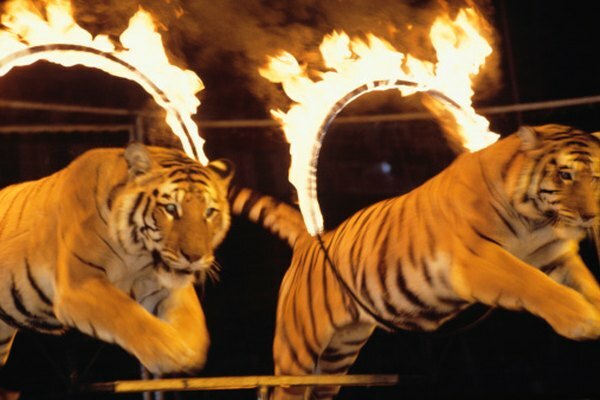 Animal rights groups emphasize the need to treat animals used for entertainment in a way that meets their needs, while some oppose the idea altogether, arguing that this is contrary to the animal's nature. Similarly, these groups urge pet owners to provide their animals with proper care, but argue this is often not the case. For example, they raise concerns about restricting animals with cages and leashes, altering them for the owner's convenience through practices such as declawing, and training them with such devices as shock collars. Students could discuss in a paper whether it is right to use animals for entertainment, perhaps distinguishing among different animals and different types of entertainment. Another potential topic is what could be done to ensure that animals have owners who will properly care for them. Animals face dangers from poaching and illegal hunting, and the destruction of and changes to their habitats. Animal welfare groups argue that animals should not be removed from the wild or killed unless necessary, or not at all. They argue that methods used to control wildlife populations should be humane. Students could write about instances in which it is right or wrong to kill or capture a wild animal and how this can be done humanely. There are also issues surrounding conservation and ensuring that animals have environments appropriate for them. This can be a potential research topic, looking at the damage that has already been done to wildlife and ways of preventing it in the future.